Today I wanted to share a quick and simple card with the new Sea of Texture bundle. When I first saw this set I new right away that I wanted to get it. After receiving it, I struggled for a while trying to figure out what to do with it. I had seen a lot of great ideas on facebook and pintrest, but just couldn't figure out what to do with everything. 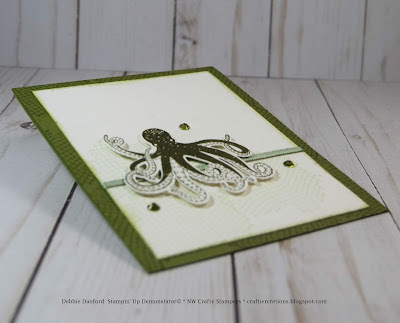 A couple weeks ago I posted what we made at the Stampin' Palooza and yes we used this bundle. Sometimes we just overthink way too much. Stamp the netting with Mossy Meadow on Mossy Meadow. On Shimmery White stamp the netting with Mossy Meadow stamped off once and then onto the Shimmery White in the lower left hand corner. 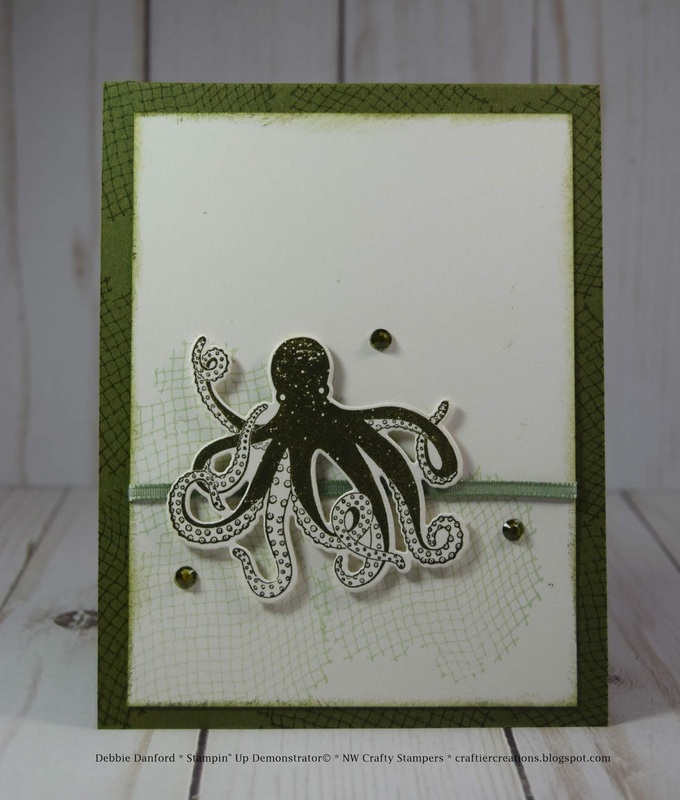 On a piece of scrap of Whisper White stamp the octopus with Mossy Meadow and die cut. 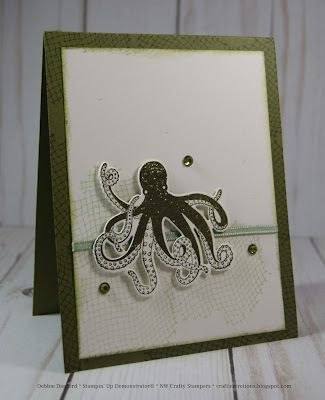 Color the ribbon and the rhinestones with the Dark Old Olive Stampin' Blends. Attach ribbon, and attach the octopus with dimensionals. Attach Shimmery Paper to Mossy Meadow and add rhinestone bling! !